Most people would prefer PDF, DOC or TXT, as their primary formats for document types. Ingeniously, Microsoft has developed a file format-XPS (XML Paper Specification) similar to that of the PDF file format. But instead of the post-script language, this format makes use of XML (Extended Mark-up Language). XPS also comes handy when you don't have an printer installed and the XPS virtual printer allows you to save the document in "ready-to-print" original format for later printing. Just as the name infers, this site allows you to convert multiple file formats into standardized file formats, for FREE. Hence, you can select the input file format to be XPS and output file format to be PDF/DOC, based on your preference and you would have the converted file within a matter of seconds. XPS to PDF is another free video tutorial site, which narrates you on how to convert XPS files to PDF. There are subtle amount of steps enlisted on the site, which take you through the process of converting XPS to PDF using the XPS Viewer and Bullzip PDF Printer. Though the process is a bit lengthy, it can be handy if you are using Windows XP or lower version of Windows. 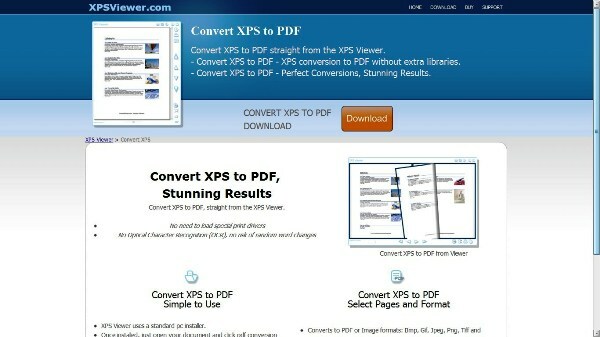 XPS2PDF is another extremely simple, free to use site that supports online conversion of XPS to PDF. Just upload the file and wait for a few seconds to pass. No registration, no download. It doesn’t get any simpler. XPS Viewer is a free utility that offers exhaustive functionalities wherein you do not need to install any additional drivers, to view and convert XPS files on your machine. Besides, XPS Viewer supports rendering of XPS files and also allows you to convert it to PDF, without missing out any spaces or indentations. 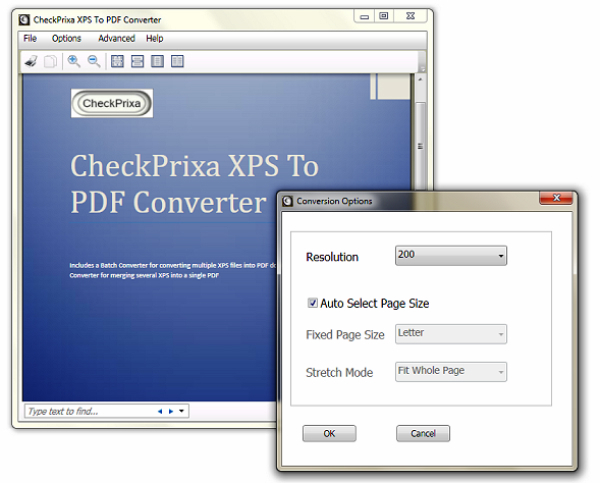 One of the most popular convertors for conversion from XPS to PDF format, this tool can be handy as it’s available for FREE and supports multiple conversions of files at a time. The tool is available for download from the website, just install it and start converting your files. I have one software(Cute PDF) which is easy to use and very useful. It converts any document in PDF, Actually it adds a new printer and then when click Print button it saves whole document as PDF. I have one software (Cute PDF) which is easy to use and very useful. It converts any document in PDF, Actually it adds a new printer and then when click Print button it saves whole document as PDF. I used XPS to PDF Converter, it is also an offline tool that instantly converted my number of xps files to PDF documents.